1.Preheat oven to 325°. Place ham, cut side down, on rack in large roasting pan; let stand at room temperature 30 minutes. Pour 2 cans cola and squeeze juice from lime into pan; add lime halves to pan. Cover ham loosely with aluminum foil; bake 1 hour. 2.In small saucepan, heat remaining can of cola over medium heat 30 minutes or until reduced by half. Stir in pineapple, brown sugar, rum and dry mustard; simmer 5 minutes or until brown sugar dissolves. Remove from heat. 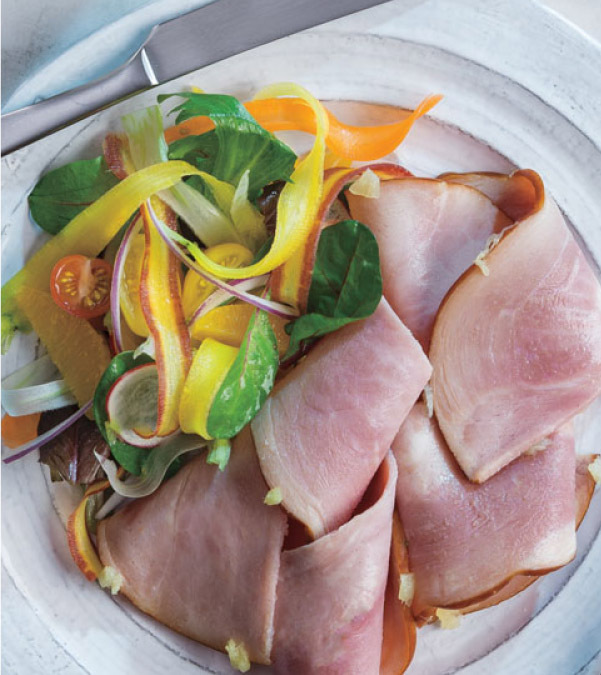 3.Remove ham from oven; brush with some glaze and return to oven. Bake, uncovered, 45 minutes longer or until internal temperature reaches 130°, brushing ham with remaining glaze every 15 minutes. Cover loosely with foil; let stand 15 minutes before serving. (Internal temperature will rise to 140° upon standing.) Serve with drippings remaining in pan.